"If you can't find it any where else Odells are sure to have one." 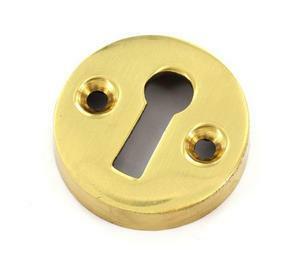 Victorian Open Escutcheon improves the look of keyholes. It is often used with deadlocks. Round with a diameter of 34mm. Comes with screws. Brass Finish.